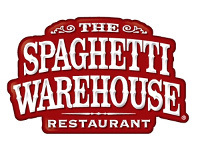 It’s again Dayton Hamvention and time for our Annual CWops & Friends’ Spaghetti Warehouse Awards Dinner. In late 2009 a small group of CW operators – ragchewers, contesters, and DXers – began talking about founding a new club. As these operators were from all three ITU regions, they decided from the outset that this club, unlike many, would be an international club from day one. The CW Operators Club (CWops) was launched in January 2010. During those three years, the club grew from a handful, to a few hundred, to over 1000 members in over 70 countries. CWops, from the outset, was meant to be inclusive. Whether your preference was using CW for ragchewing, contesting or chasing DX, you would find kindred spirits among the club’s members. Then, in 2012, we inaugurated CW Academy. We realized that there were a lot of hams who wanted to explore the joys of CW operating but felt overwhelmed. Some of them knew Morse but were only able to copy and send at low speeds. Others had not yet learned ‘the code,’ but were intrigued by the mode and sought ways to learn and practice it. In response to this demand, CWops created CW Academy, and today we are teaching many newcomers and veteran hams the art of CW using a novel ‘virtual’ training environment that allows an instructor to work with hams located thousands of miles apart. We truly believe that CW is far more than a nostalgic throwback to the early days of ham radio. It has relevance in many ways to our desire to do things that not everyone else can do; and to provide an efficient, effective mode for communicating with others around the globe. We invite you to explore our Website; to participate in our on-air activities; or if your goal is to learn or improve CW skills, to sign up for CW Academy and join the hundreds of hams who have already done so.